You come to Born for that something special. The Jemez offers you that something. Artisan touches, like criss-crossing leather straps and a bottom design inspired by the shape of a leaf, define this sandal. 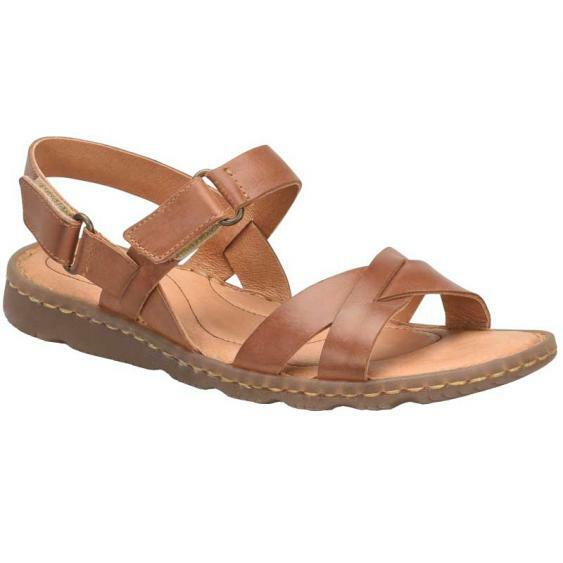 The uppers of this women's style feature full grain leather across the toes and 2 hook-and-loop straps at the ankle for a secure fit. Featuring Opanka hand-crafted construction and a leather lining for easy break-in time, the Jemez also has a cushioned footbed for lasting underfoot comfort. A rubber outsole keeps you surefooted during summer adventures so enjoy summer to the max in the Born Jemez.